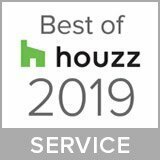 Most South Florida homeowners know that they need some form of protection on their windows, be it in the form of cardboard shutters, duct tape, or impact windows. While all three of these items technically qualify as a “protective measure,” this does not mean all three are created equal. 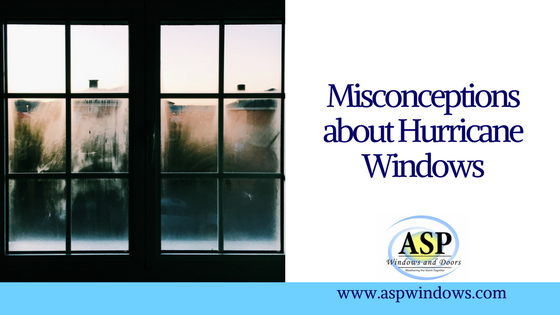 It’s safe to assume most people recognize the fact that hurricane windows will do a better job of protecting your home than tape or cardboard. Other than that, homeowners may not know much about impact windows, and in fact have heard numerous misconceptions about them. For those who are not familiar with hurricane windows, here is a list of common misconceptions and the explanations behind them. On the contrary, impact windows and doors can be much less expensive than other types of hurricane protection. Non-impact windows with electronic roll down shutters can cost twice as much as hurricane windows. Aside from the actual cost of the product and installation alone, there are other factors to consider when evaluating the value of hurricane windows. Additional benefits include pre-storm preparation, increased security, UV blocking, and noise reduction. All of these make impact windows a great option. Sure, the style of hurricane windows is an excellent feature, but don’t forget that its main function is to protect your home from potential storm damage. Knowing that your home has permanent protection against hurricanes, tornadoes, and other storms at any given time also provides peace of mind. Ultimately, hurricane-resistant windows are capable of withstanding winds of up to 200 miles per hour. If flying debris does hit a window, the added protection will keep the glass from breaking up into large sharp pieces. If it does crack, it will create a “spider-like” cracking pattern instead. Many people assume that just because they bought a high-quality window that has a Design Pressure Rating of DP50 (50psf), they’re getting impact windows capable of withstanding hurricane-force winds. Unfortunately, this is incorrect. Yes, DP50 rated windows are designed to handle strong winds from storms. However, they are not designed to withstand flying debris unless they are the impact rated version. Some of these windows may even be outfitted with “Hurricane Rated” tags, but fine print tells a much different story. Let’s be clear: impact windows do not prevent hurricanes, but they do offer protection from one. They are tested to withstand impact and strong winds, which some would argue makes them a far better option than other types of hurricane protection. For shutters, materials like plywood can take a long time to fit to the window and to put up, and can easily break during a hurricane. When compared to impact resistant glass, hurricane windows hold up infinitely better in a storm. Have we convinced you to make the move over to hurricane windows yet? Contact us for any additional questions you may have and we will be happy to answer them.